Michele Wong McSween is a mom, fashion designer, author and a fourth generation Chinese American. She resides in Brooklyn, NY with her husband Steve and three boys – Walker, Harry and Stevie. McSween holds degrees from the University of California at Berkeley and the Fashion Institute of Design and Merchandising. Growing up in Sacramento, CA, she never learned Chinese and wanted to be sure her own boys were confident with Chinese language and culture. 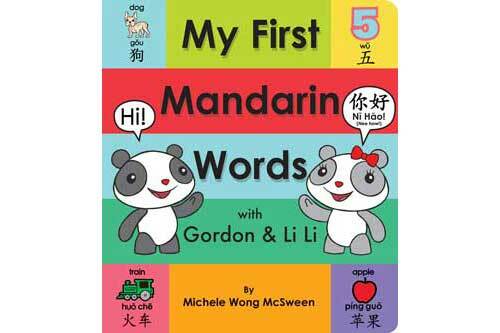 After enrolling them in early learning Mandarin classes, McSween looked for appropriate Mandarin bedtime reading and found that little was available. 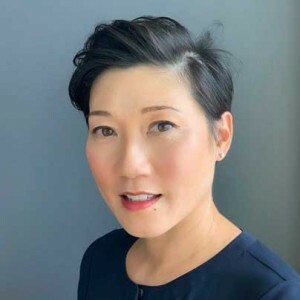 She created Gordon & Li Li with an appealing, simple and modern design aesthetic that would engage kids and parents alike.